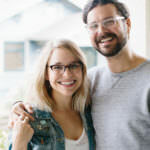 Laura Arbo is a writer, photographer and social media influencer who lives with her husband, Matt, in southeast Portland. Although she grew up in Texas, Laura did a research project on Oregon as a child and knew then that one day it would be home. Matt and Laura were engaged at Crater Lake and then eloped in the Columbia River Gorge at Wahclella Falls. They've lived here permanently for a few years and spend every spare moment riding motorcycles, hiking, floating the rivers, camping, skiing and eating all the amazing food Portland has to offer. It's truly home and they wouldn't want to be anywhere else.